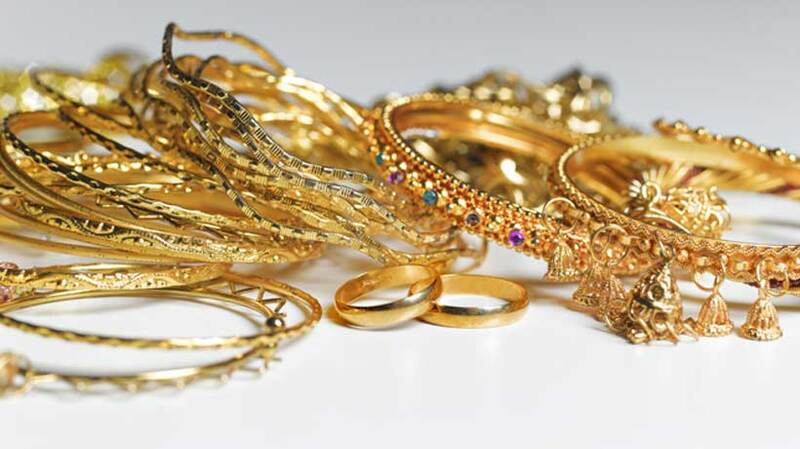 73 kgs of gold, silver ornaments seized near Salem, guns seized in the city. Coimbatore : The election flying squad seized 73 kgs of gold and silver articles from a van, during a vehicle check near Salem, some 160 Kms from here in the early hours of Thursday, even as Rs.five lakh and two air guns were seized in Coimbatore. The officials intercepted a van at Kondalampatti near Salem and on search found huge quantity of ornaments packed in plastic bags, the department sources said. On inquiry, the occupants told that the ornaments were being taken to different jewelleries from Mumbai and handed over the documents. However, officials found more ornaments than mentioned in the documents and handed over the seizure weighing 73 kgs, to Assistant Returning Officer, who informed the matter to the District Collector, Rohini, who rushed to the spot. Rohini also inquired the occupants about the documents and as she was not satisfied, alerted the Income Tax officials, who took over the ornaments for further investigations. Meanwhile, a flying squad seized Rs.five lakh and two air guns from a vehicle in Vadavalli in the city, during vehicle check on thondamuthur Vadavalli Road. After the inmates, staff working for security firm, told that the cash was being transferred to a bank and provided the documents, based on which the amount was returned. However, they did not have valid licence to possess the guns, which were confiscated and handed over to the district collectorate.